The settler of a revocable trust is the person who creates the trust and transfers property to the trust. The settler is the organizer, the creator and the donor. As such, the settler determines the substance and direction of the trust, including any parties associated with the trust, such as the trustee and the beneficiaries, and any property to be held in the trust. Trust relationships arise under state law, and the detailed requirements for trust creation can vary from one state to the next. Some state laws refer to the settler as the grantor for the trustor. In general, a settler is anybody who creates a trust, and a settler can create a trust through verbal agreement, or more commonly, through a written trust agreement. The key question is whether the settler transfers property with the intent to create a trust relationship. Any person who owns property can be a settler of a revocable trust, including a deceased person under her will. A trust is a legal, technical way to split the ownership rights of property. The settler transfers property to a trustee, and the trustee holds legal title to the property. At the same time, the settler appoints beneficiaries of the trust, who own equitable title to the trust property. A revocable trust is a trust the the settler, or the settler's heir if the settler is deceased, has the right to terminate, or revoke, at any time. A settler of a revocable trust can also be the trustee and a beneficiary of the trust. Setting up a revocable trust in this manner requires preparation and filing of the proper paperwork, such as recorded deeds transferring real estate from the settler individually to the settler in his capacity as trustee. However, the laws of every state allow a settler to also be a trustee and a beneficiary. 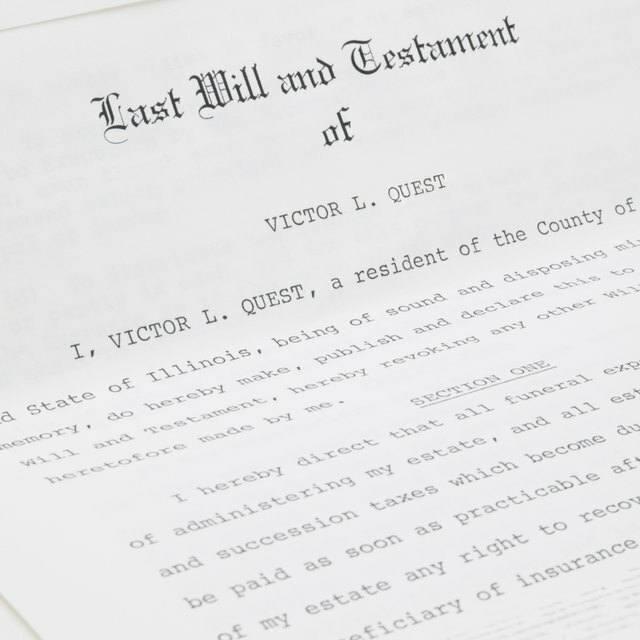 In fact, this type of mixed-roll revocable trust is a common estate-planning tool to help the settler avoid probate, which is a formal legal process that occurs after a person dies and a court distributes his property. The settler of a revocable trust has authority to dictate the terms and conditions of the trust. Generally, that power includes the right to terminate, modify, amend or revoke the trust at any time. The settler of a revocable trust, for all legal purposes, retains total control over the trust and the property held in the trust. The settler also retains control over who has any rights to the trust. The settler can also define the powers of the trustee, the rights of any beneficiaries, and any limitations to be placed on the trust property.